Oh man, where do I begin? 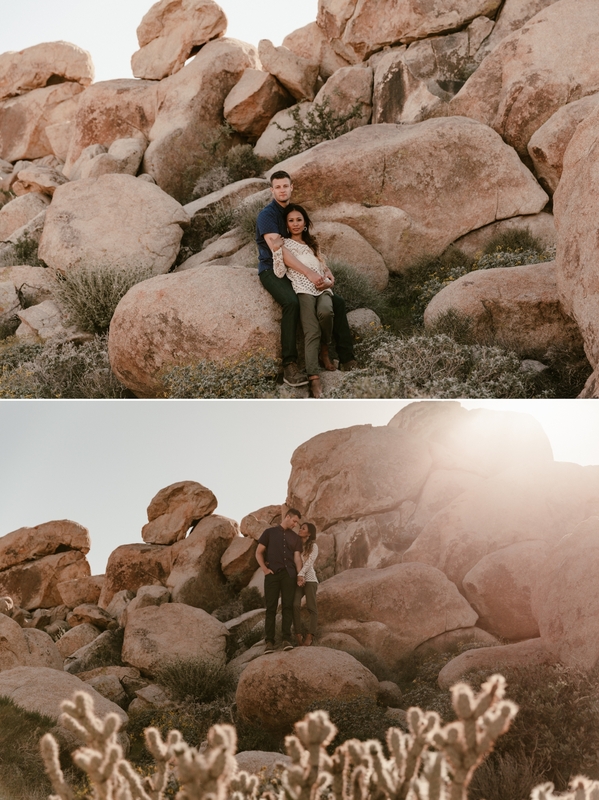 I have been trying to contain my excitement about this session for over a month and am so happy to finally have the chance to share it with all you. 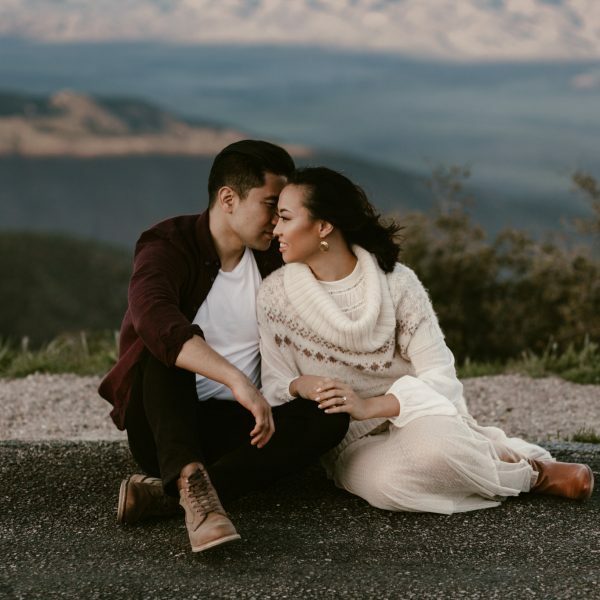 I met with Loraine and Kyle earlier this year to discuss their upcoming San Diego wedding in May. I immediately connected with them within minutes of sitting down together. 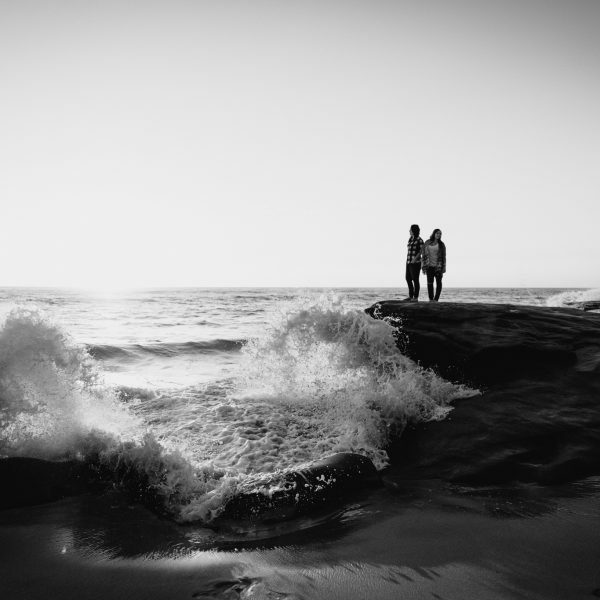 Their love for each other is light and joyful– and extremely contagious. 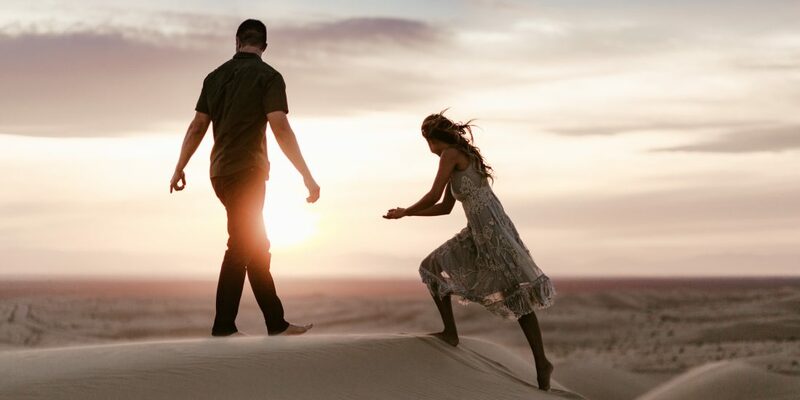 When Loraine suggested taking their engagement photos in Glamis for something unique, I was over the moon. 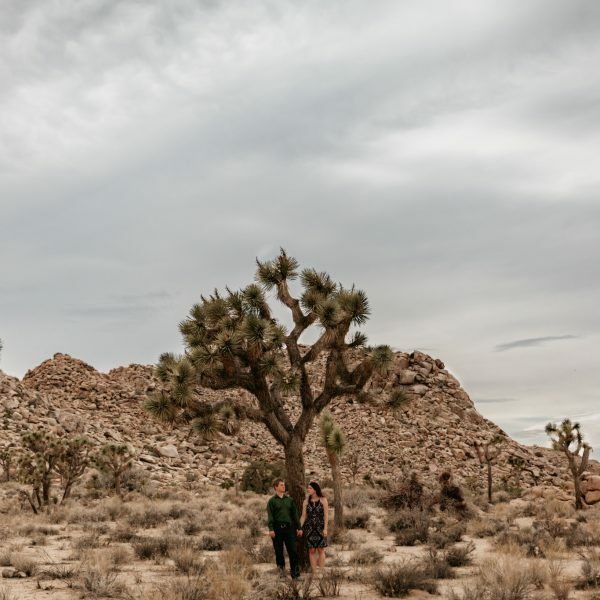 We decided to turn a Sunday afternoon into a mini road trip chalk full of desert adventure. On our way out to the sand dunes, we made a pit stop at one of my favorite desert locations. Among the tall boulders were small blooms of colorful desert flowers and luminescent blades of green. I assembled a mini desert bouquet for Loraine that she saved as souvenir. We hiked over rocks, laughed and danced, disturbed only by a small lizard mistaken as a rattlesnake. Keeping an eye on the sun, we all piled back in the car and settled in for another hour of driving. We arrived at the magnificent, alien sand dunes just in time for the most glorious golden hour of all time. Out of breath, we ran up and down the giant mountains with sand stinging our eyes. There was so. much. sand. (and in places it shouldn’t be…). 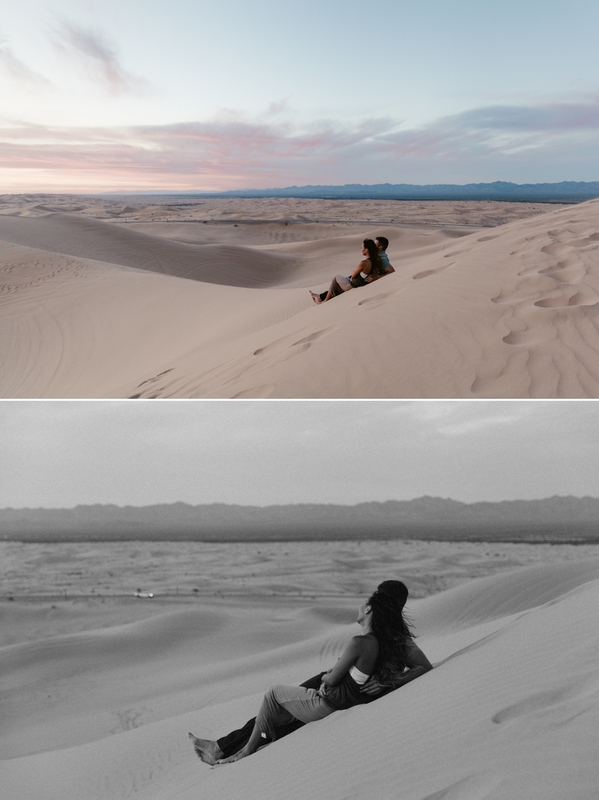 I’ve visited the dunes before, but that was in 110 degree weather in the middle of the day. Nothing can compare to watching the sun sink beneath the clouds and light up the sky while standing atop a dune. Everyone should have this experience. We basked in the beauty of the golden sky all the way up until dusk began to settle and the moon rose overhead. Reluctantly, we made the descent from the dunes back to the car in the distance. On the drive home, we munched on various candy and reveled in our shared passion for all things sweets. It was perfect. If I had the chance to capture love this beautiful every day, I would be one happy photographer. Let’s also take a moment to recognize Loraine and what a wonder woman she is for squeezing in FOUR perfectly styled outfits. 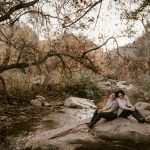 Loraine & Kyle’s engagement is featured on Wedding Paper Divas. 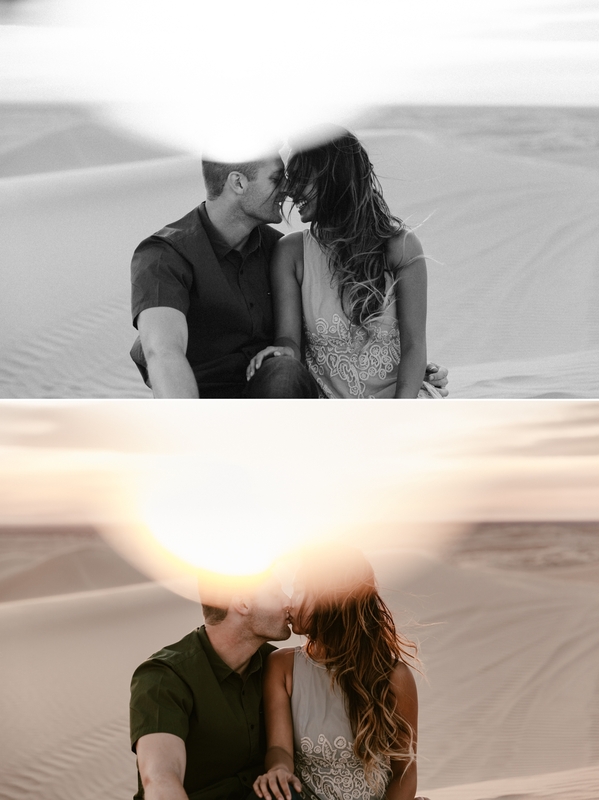 This series titled “Mirage” was also a runner up in PDN’s 2016 Top Knots engagement photo contest.